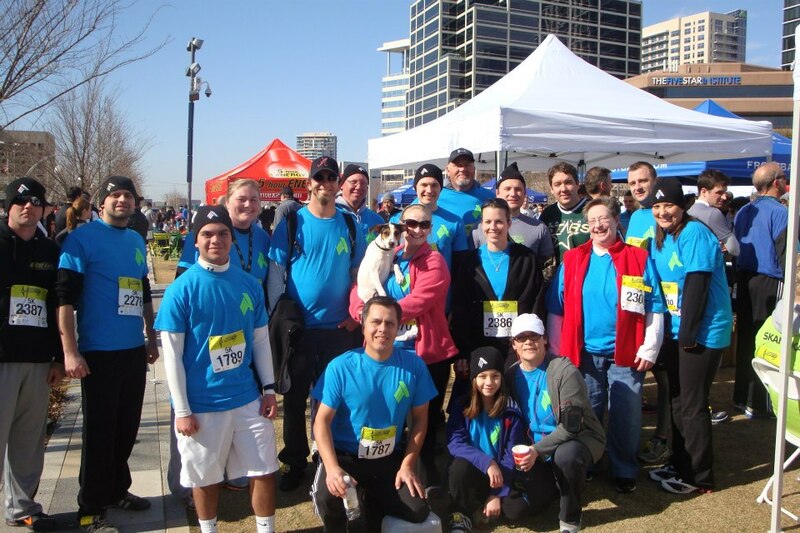 Over 30 Alpha Testing employees, family, and friends huddled around Klyde Warren Park in Dallas on a freezing Saturday morning in February 2013, for the 2nd annual Form Follow Fitness 5k run. Alpha was one of the sponsors for the event, which benefited the Dallas Center for Architecture. And appropriately, the route was planned to highlight architectural icons throughout downtown. Hot coffee, energy drinks, and a bright blue t-shirt helped ease the pain of the 3 mile loop.